The Met Office is the United Kingdom’s national weather service. Providing weather forecasts to billions of people, the Met Office makes meteorological observations across all timescales, from hourly weather forecasts through to long-term climate change predictions. Though perhaps best-known for its mentions on national news broadcasters such as the BBC and Sky News, the scope of the work that the Met Office undertakes is huge. From helping airlines plan safer and more fuel efficient flights, through to contributing top-secret data to national defence strategy and armed combat operations, the Met Office touches all areas of our lives. Since its inception over 150 years ago, the Met Office has always been driven by data. What started as simple observations, recorded and used to hand plot synoptic charts has since evolved into over 20 million observations made every day. This data comes from satellites, weather stations, radar, ocean buoys, planes, shipping and even members of the public. The Met Office faces the challenge of continuously storing the data it produces, growing exponentially each year. To deal with just some of the 335 million observations of data the Met Office is required to store each day, the organisation made use of a large-scale tape library system. This system contained some 16,000 tapes, storing data of all types, sizes and levels of sensitivity. The Challenge The Met Office overhauled its tape media storage operation as part of the installation of a new supercomputer. In doing so, the organisation found self with thousands of redundant tapes, all still fully loaded with sensitive and confidential. With the potential for data to be as serious as insight into national defence planning, the Met Office needed a secure and reliable way to dispose of these end-of-life tapes. The priority was for there to be absolute confidence that no matter how the tapes were disposed of, it was done so in such a way that would guarantee that all data was removed, with no remaining trace and zero chance of recovery. The Met Office takes seriously its commitment to operating in an environmentally responsible way. For this reason, the organisation wanted to ensure that the redundant tape media was disposed of in the most environmentally-friendly way possible. Moreover, as an organisation part-funded by the UK Government, the Met Office was keen to dispose of its tape media in an economically sustainable way, making best use of funds. Having explored traditional methods of tape media disposal such as shredding and degaussing, the Met Office discovered KIT - or Kills Information on Tape - from Insurgo Media Services. Developed over five-years by Insurgo Media, KIT is a patent-pending process which destroys all data on tapes, before allowing processed tapes to re-enter the market as certified tape media. As an organisation looking to definitively dispose of data, protect the environment and do so in an economically sustainable way, the KIT process caught the attention of the Met Office. Though interested by what KIT claimed to offer, the Met Office needed to independently verify the process and its effectiveness. Through a series of tests - including site tours and research - KIT was confirmed to be sufficiently secure and absolute in its data removal abilities. ADISA’s report goes on to confirm that KIT is suitable for “organisations looking to sanitise their media and protect against forensic recovery”. The Met Office instructed Insurgo to securely dispose of the entirety of their end-of-life tape media using KIT. Insurgo has designed its entire tape media disposal process to be as secure as possible. For this reason, the Met Office was assured that from the moment their tapes were readied to leave their facilities, through until they were successfully processed and wiped of all data, they were secure. Insurgo collected and transported the Met Office’s tape media using secure vehicles, complete with two SC-Cleared drivers. These vehicles made single and direct journeys from the Met Office to Insurgo’s processing facility. When they arrived at Insurgo’s facility, each tape was uniquely recorded. Not only did this give Insurgo the ability to report a successful receipt of tapes to the Met Office, but it also allowed for each tape to be tracked and recorded through each stage of the forthcoming data-removal process. Tapes are stored and processed in Insurgo’s state-of-the-art facilities, which are protected using multi-layered security both inside and out. This security is used not only to limit the access of those who enter and leave the building - with features including CCTV and biometric entry to the vault and processing areas - but also to ensure the safe-keeping of data when on-site. Each tape was processed using KIT - a process which is administered by specially trained and security-checked individuals who share Insurgo’s incredibly high standards. Once all tapes were successfully erased of data - and after every tape was individually tested - the Met Office was issued with a certification of destruction, formalising the end of the process and giving the guarantee that there was no longer any recoverable data in existence. Insurgo Media helped the Met Office dispose of 16,000 tapes, filled with varying levels of data. These tapes were disposed of in a highly-secure way, following all appropriate legislation with diligence. From the moment the tapes left the Met Office, through until they were confirmed to have been wiped with no trace of data and zero chance of recovery, each of the 16,000 tapes were secure. Tapes processed with KIT become certified tape media. This means that once processed and cleared of all data, the Met Office’s tapes were eligible to re-enter the market and be used by another organisation. 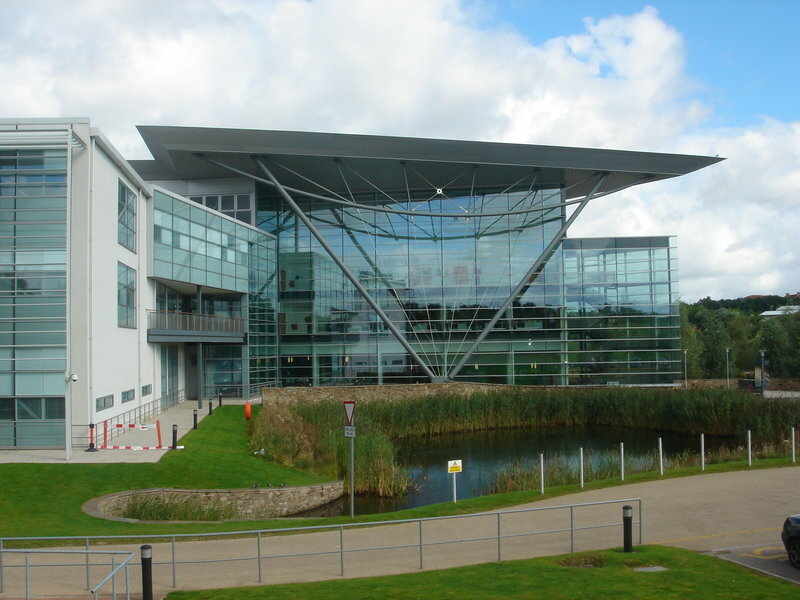 This means that the Met Office was able to meet its commitment of ‘promoting sustainability on a daily basis, including through its choice of suppliers’, by protecting the environment and avoiding 16,000 tapes ending up in landfill, or worse still, releasing harmful toxins during a tape media incineration process. Finally, Insurgo was able to help the Met Office make best use of funds. As KIT-processed tapes are able to re-enter the market, processing cost are much lower. In the case of the Met Office, this meant that Insurgo was able to pass on an off-set saving of hundreds of thousands of pounds, helping to reduce the overall cost of tape media destruction, without compromising on security or sustainability. Over the past three years, Insurgo has securely disposed of over 30,000 tapes for the Met Office, as the close working relationship continues to grow.